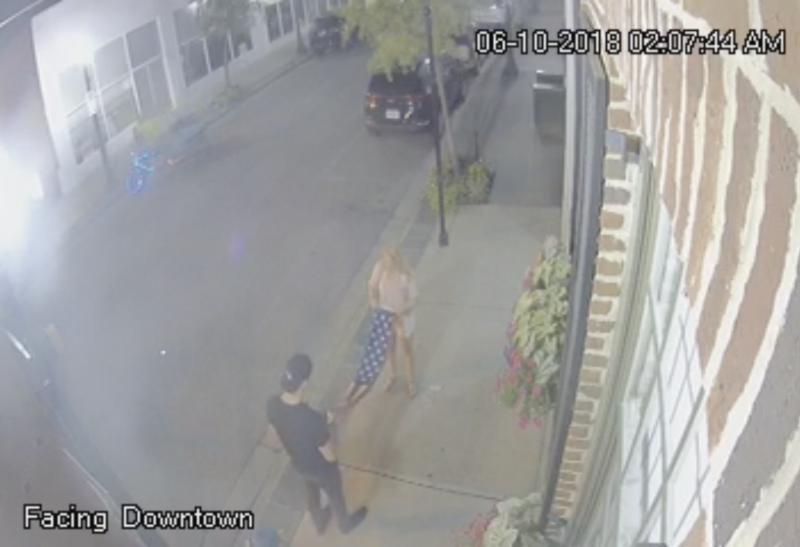 A home security camera caught two people in downtown Mobile, Alabama, ripping down an American flag. But what happened next was heartwarming. A couple walking by stopped to do the respectful thing: fold the flag like true patriots. It happened at the home of a woman named Margaret Dopson. "We've had our flag ripped down four times in three years. It's one of the reasons for the cameras," Dopson told CBS News. "It's gut-wrenching to me to see it on video. It's a quick flash of what's wrong with society -- anger, hatred and disrespect." Fortunately, the story doesn't end with that "gut-wrenching" moment. The couple that came along afterwards turned things around. They took care to fold the flag using proper form, making small triangles until it was neatly bundled. "I was so happy to say, 'Yes, this is what's right in this world, good people are around.' Quite frankly it moved me greatly, even the way the young man placed our flag on our porch," Dopson said. "When I opened my door on Sunday morning my first reaction was, 'Oh great, someone tore our flag down again...' Then I immediately saw the folded up flag and I knew then I wanted to find who was kind enough to fold it up more than I wanted to know who tore it down," she said. She hasn't found the couple yet, but posted the surveillance video on Facebook, hoping it would help in the search for the good Samaritans. The video has gone viral as Americans share this quiet act of patriotism. So the first video are jackass pirates maybe? Then come along a sweet couple to make things right and their actions filled our hearts.